Lawrence & Associates > Blog > Workers' Compensation > Do I Have to Pay Back My Workers’ Compensation Claim If I Win My Lawsuit? Do I Have to Pay Back My Workers’ Compensation Claim If I Win My Lawsuit? Many people who have been injured on the job have two claims in one: they are able to file a claim against their employer for workers’ compensation coverage and they are able to sue another company in the court system for their role in causing the personal injury. Common situations where this occurs include employees that are involved in a car accident while on the job, or employees that are injured at work because of a defect in equipment that was manufactured and installed by someone other than their employer. If you are involved in an Ohio Workers’ Compensation claim, please follow this link to learn more about Ohio Workers’ Compensation subrogation. The article below describes how subrogation works in a Kentucky Workers’ Compensation claim. Further, this article has been updated following the 2017 Kentucky legislative session, in which a bill was narrowly defeated that would have altered the way in which subrogation is calculated in a Kentucky Workers’ Compensation claim. If similar efforts are made in future legislative sessions, this information could change. 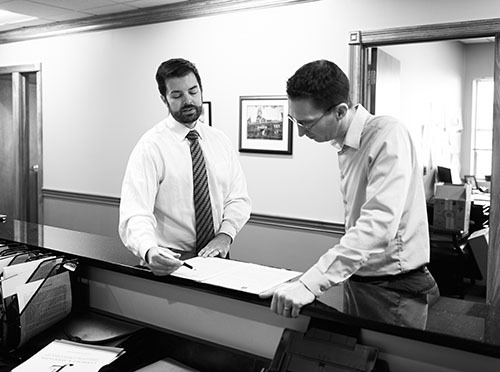 Kentucky law allows both the Workers’ Compensation and the personal injury claims to be filed at the same time. This is good because it allows the injured worker a better chance at a full recovery. The injured worker may hear that the Workers’ Compensation carrier has a lien on the lawsuit, and that the Workers’ Compensation carrier gets paid back for every cent they pay toward the injured employee’s medical bills, lost wages (usually in the form of TTD), and permanent impairment (usually in the form of PPD). This is true, but only up to a point. The injured worker has powerful protections in place to make sure that he – and not the insurance companies for the companies that caused the injury – gets fully compensated. It is important for Northern Kentucky workers in this situation to have Northern Kentucky attorney that is skilled in practicing both Workers’ Compensation and Personal Injury law. Although the law in this area is so complicated that it frequently confuses even the most seasoned lawyers, this is basically how a judge would determine how much, if any, of the Workers’ Compensation carrier’s payments get paid back from a lawsuit settlement or judgment. First, either the judge or jury determines whether the employer is at fault for the injury. Remember that Workers’ Compensation is just an insurance system, and it pays even if the employer did nothing wrong (and in return, the employee gives up the right to sue the employer in court). If the employer is even partially at fault, the judge or jury assigns a percentage to that. The Workers’ Compensation carrier then has to take that exact percentage off of its lien. For example, if the employer is 25% at fault for the employee’s injuries, and the Workers’ Compensation lien is $100,000, then the Workers’ Compensation carrier has to automatically deduct $25,000 from its lien, leaving only a $75,000 lien. Second, the judge will look at the amount the injured employee has to pay for case expenses and attorney’s fees. The Workers’ Compensation carrier cannot get a free ride; it has to pay toward the costs and fees just like the employee. If the costs and fees are high enough, it can eliminate the entire Workers’ Compensation lien. For example, if there is a $75,000 lien after step one, but the attorney’s fees and costs are $100,000, then the Workers’ Compensation carrier gets nothing. On the other hand, if there is a $75,000 lien and the fees and costs are $50,000, then the Workers’ Compensation carrier still gets $25,000 toward its lien. Third, the judge will look at the categories of damages awarded by the jury, or will fairly apportion the total settlement into the recognized categories of damages. In a personal injury lawsuit, the most common damages are for a) medical bills, b) lost wages, and c) pain and suffering. The Workers’ Compensation carrier cannot use damages from one category to pay for its lien against another category. Continuing our second example, above, let’s assume the carrier has at $25,000 lien remaining after steps one and two, and that this lien is entirely related to payments for lost wages. Also assume a jury awarded only $10,000 for lost wages but awarded $30,000 for medical bills. The Workers’ Compensation carrier can take the entire $10,000 for lost wages, but cannot recover anything else on its lien, because it is not allowed to dip into the jury’s medical bill award to pay for the lost wage payments it made! Again, this is complicated and the above steps are a simplification. It is even possible to get a carrier to forego its lien before filing a lawsuit, but that is beyond the scope of this post. Injured Northern Kentucky Workers need to understand that a Workers’ Compensation insurance company’s lien is not absolute and can be negotiated down. At Lawrence & Associates, we have negotiated thousands of Workers’ Compensation claims and would be proud to help you get the full recovery you deserve.